In India, beer is fast becoming one of the most preferred alcoholic beverages, with 31 per cent of the nation taking it up in pubs. However, globally the industry is much mature as compared to India. The industry holds immense potential owing to its young population. The industry stands at about 250 million cases today and is growing at a figure of 15 per cent. 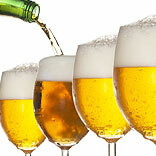 As per ASSOCHAM, beer consumption is about 2.4 billion litres. India’s beer drinking numbers have a contrasting difference when we look at its consumption globally. India’s beer consumption stands at a mere 1.5 litre per person per year as compared to the average world consumption of 22 litres. Not just men but women too have taken to beer drinking and are enjoying it too. Around 32 per cent of men and 18 per cent of women prefer beer as an alcoholic beverage. The trend is also shifting towards beer being consumer in afternoons and at brunches along with being a favourite in the night. Beer retailing is a complex business. In India, the complexity of the business is what hampers its growth to an extent. There are four major avenues through which beer is retailed in India, liquor shops, modern retail, pubs and bars and micro breweries. Micro breweries are a trend that is fast catching up. The beer industry’s biggest hurdle is the tax structure that hauls the movement of beer across state borders. Beer is taxed 60 per cent higher than hard liquor. Export and import fees are levied on beer moving out of one state and moving into another. Certain states allow the sale of beer manufactured within that state only. The industry is poised for growth with a long way to go to be able to compete with its international counterparts. It is witnessing double digit growth and is on the path for progressive growth. Beer price for sure will see an increase owing to inflation, state taxes and high cost of raw materials.